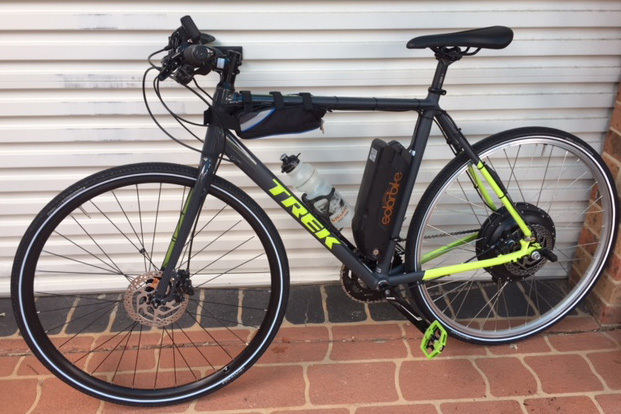 This is an electrically converted Trek Zektor 3 flat bar road bike with a 48V 1000W motor and 10.5 AH battery a customer created who kindly gave us his review. Address: Woolstores Shopping Centre. 28 Cantonment street. Fremantle, WA, 6160. Open Mon-Fri 9.30 - 5.30. Sat & Sun 10-4.